Together with my husband, we run bukitlawang-jungletrekking in Sumatra, Indonesia. With our Ecotourism Program , we are committed to a sustainable and ecofriendly tourism. For us this mean to be responsible for our nature, our animals and our community. From the beginning, it was clear that we wanted to give something back to this wonderful community! So we started Local Village Tours and other activities with the villagers like handicraft workshops and cooking classes in order to help them to increase their income and also to show our guests the fantastic culture and village life. 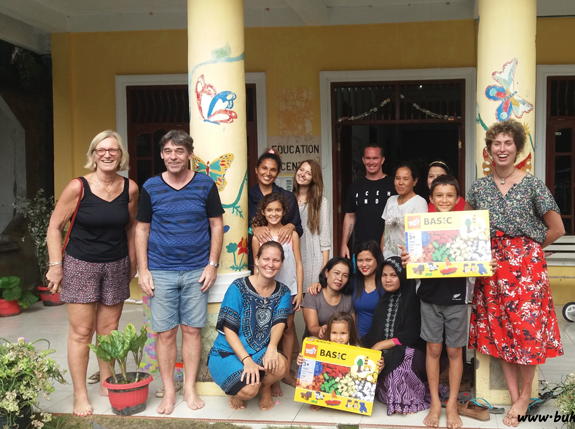 We then soon started to support the Bukit Lawang Trust Education Center, a charity project that provides free English lessons and environmental education to the village children. The Center offers many other community activities and is working on long-lasting conservation projects. We would have never imagined the huge reaction from our travelers. 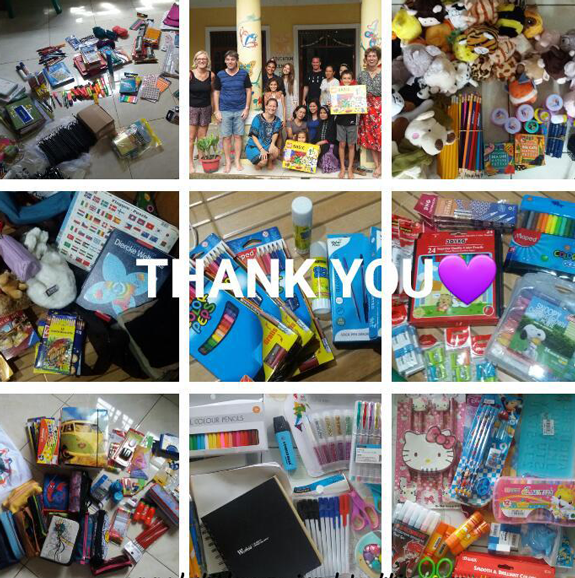 We were able to collect more than 300 kg of all kind of school supplies from our amazing guests. So many people wanted and still want to help that it is overwhelming. We are very very thankful for the generosity of our guests!!! We think that participating in this initiative, brings great benefits to everybody involved, not only to the children and community, but also to our travelers because SHARING IS CARING <3. The joy and happiness on the children’s faces is just priceless. Receiving back a big warm smile from the shiny eyes of the children is an unforgettable memory. All our guests are also welcome to join the schools daily schedule, help teach or just spend some hours playing with the children. We try to keep close contact with most of the guests who have visited us to provide information on the improvement of each of our projects and where their donation has made a difference. 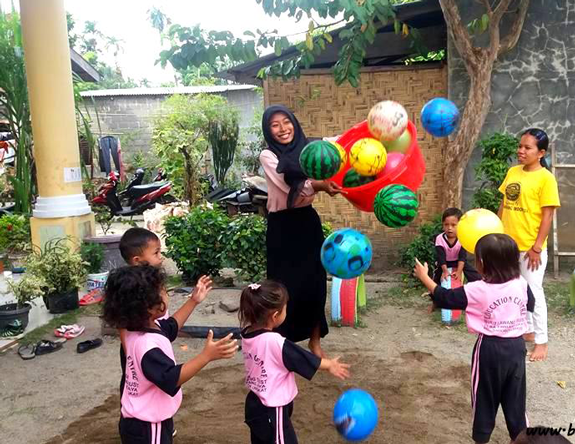 The Bukit Lawang Trust´s school team is now able to create some extra lessons, such as handicrafts, reading sessions, science and nature education and sport activities – because of the materials provided to them. We believe that education has the power to change the future. Therefore we are more than happy and proud and thankful to see the improvement of Bukit Lawang´s community education! We are proud members of Pack for a Purpose and want to send out a very big THANK YOU to the Pack for a Purpose team for giving us the chance to publish our story here. We hope that many more travelers will get to know this project and want to join this amazing idea. Thank you very much for this program, which has made a great contribution and huge difference to the village Bukit Lawang, and its community! A very huge THANK YOU also again to all our Bukit Lawang-Jungle Trekking guests for your fantastic support and help.